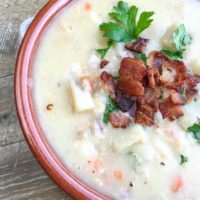 I love a good hearty rich cream of anything soup, and this New England Clam Chowder is one of my favourites. This recipe includes bacon, so that definitely takes it up a notch at our house! You can leave it out if you’d like, but trust me it’s good. You’ll also notice that the recipe calls for Chickpea flour, which makes it gluten free, however you can easily use regular all purpose flour. 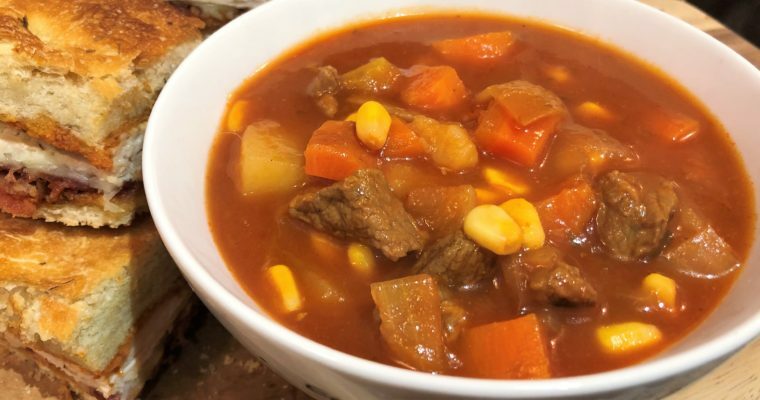 Because it has seafood in it, I don’t recommend it as a soup that you will keep throughout the week like most of my Sunday Soup recipes. 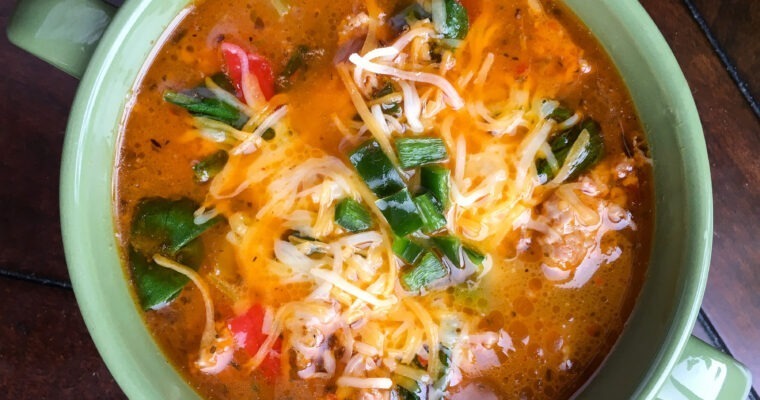 Instead, make it fresh for an easy but hearty meal on a cold day. Serve with your favourite side salad or a crudite platter and some delicious cheese bread for a casual meal everyone will enjoy. 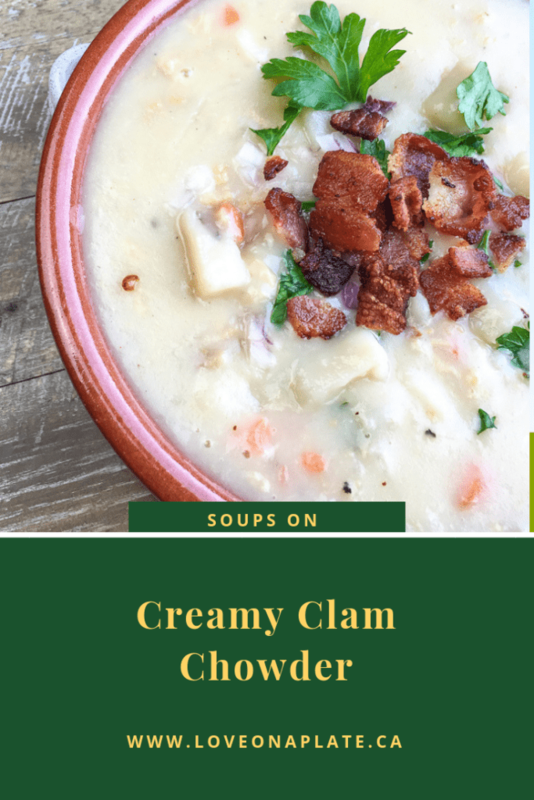 Rich, creamy, hearty and gluten free New England Clam chowder topped with crisp bacon. Tender chunks of potatoes, sweet diced carrots, and savoury baby clams this Chowder is filling enough for dinner and ready in 30 minutes.